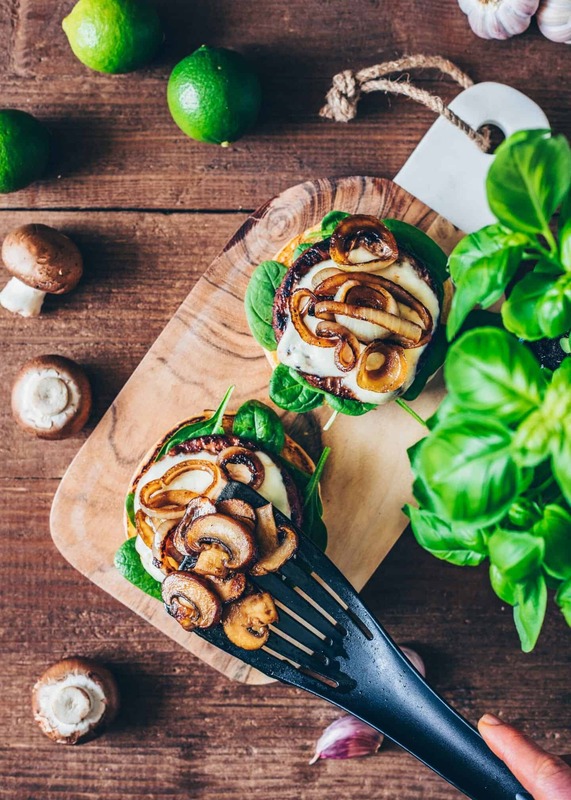 Melty Vegan Mozzarella is easy to make, and perfect for a casserole or as a topping on pizza, in sandwiches and definitely, for this delicious mushroom burger. 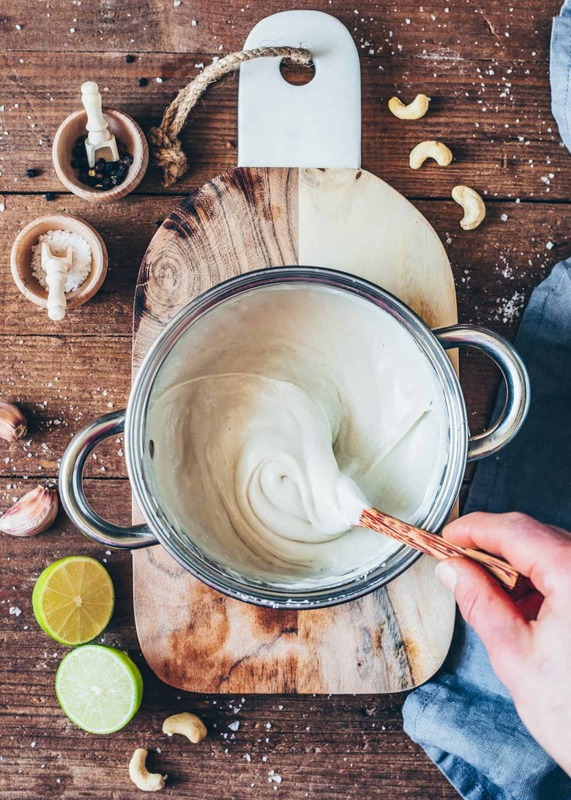 This post contains step-by-step pictures, showing you how to make stretchy cashew cheese which is plant-based and dairy-free! I would imagine that you’ve been waiting for this recipe for a while because I’ve posted some dishes with this melty cashew cheese on Instagram many times already. Sometimes with gnocchi or pasta and tomatoes, sometimes on pizza and pizza toast because this vegan mozzarella is super easy to make and totally delicious! It’s a great recipe that is perfect for any meal. If you’re wondering why I haven’t shared this recipe before – the truth is because, for some reason, I couldn’t find the right opportunity. 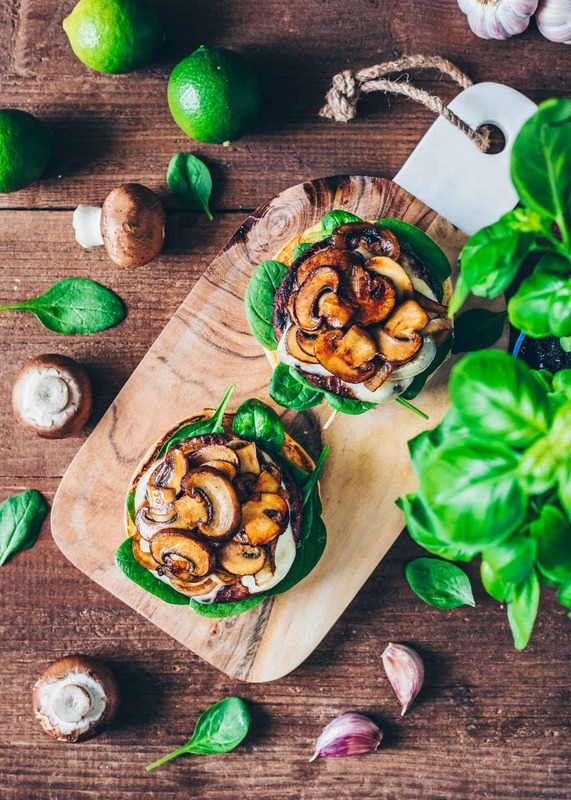 But when I received some meatless burger patties from a German company, I got the idea to make this tasty vegan mozzarella mushroom burger! 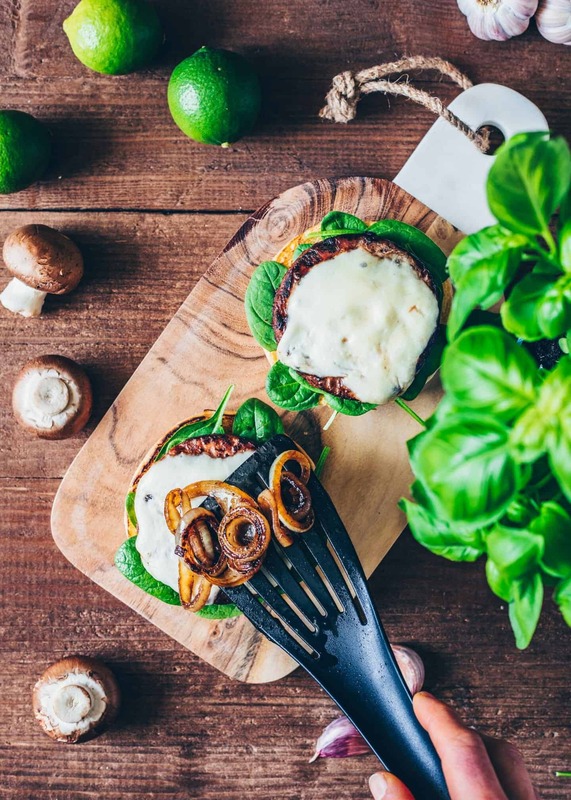 If you don’t want to use store-bought burger patties you can make your own. 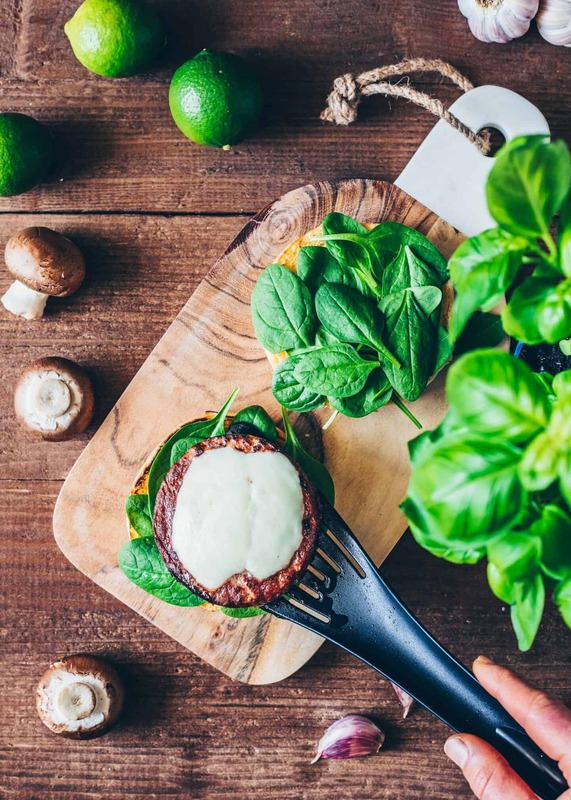 I have some delicious meatless recipes which are perfect for making burger patties, such as this vegan meatball recipe made from beans or this no meatball recipe made with chickpeas. You can also make easy chickpea falafel or sweet potato falafel and shape them into patties instead of shaping them into balls. Actually, making melty vegan mozzarella is not a completely new invention, the key is to use tapioca starch. The special thing about tapioca starch is that it doesn’t only thicken, but also makes a gooey, stretchy consistency. As a result, the thickened cashew cheese mixture gets melty. The same way traditional cheese gets when it melts. 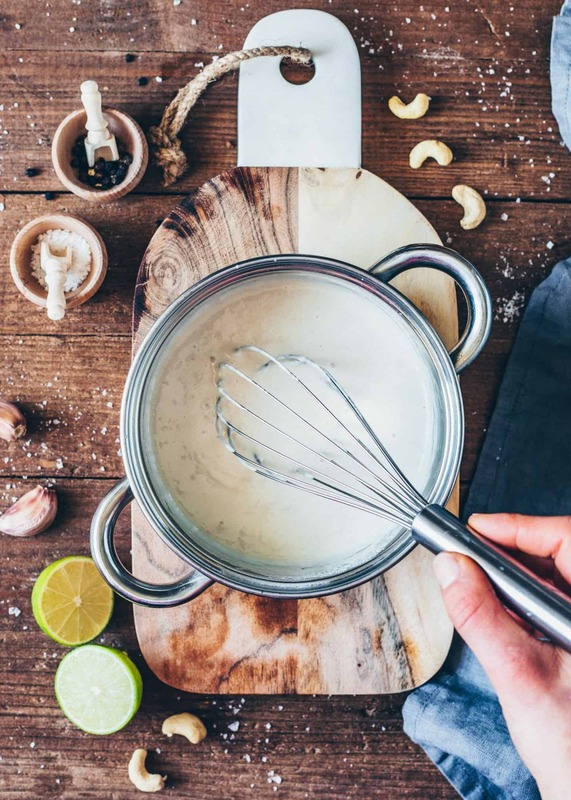 The base of the non-dairy mozzarella consists of soaked and blended cashew nuts, non-dairy milk (or water), a few spices, a splash of lemon juice and yeast flakes for a cheesy flavor. If you don’t have a high-speed blender, another option would be to use store-bought cashew butter. Of course, it is also possible to make the vegan cheese with almonds, macadamias or other kinds of nuts. I’ve also tried this recipe with only coconut milk and it worked too. It just depends on your desired taste. 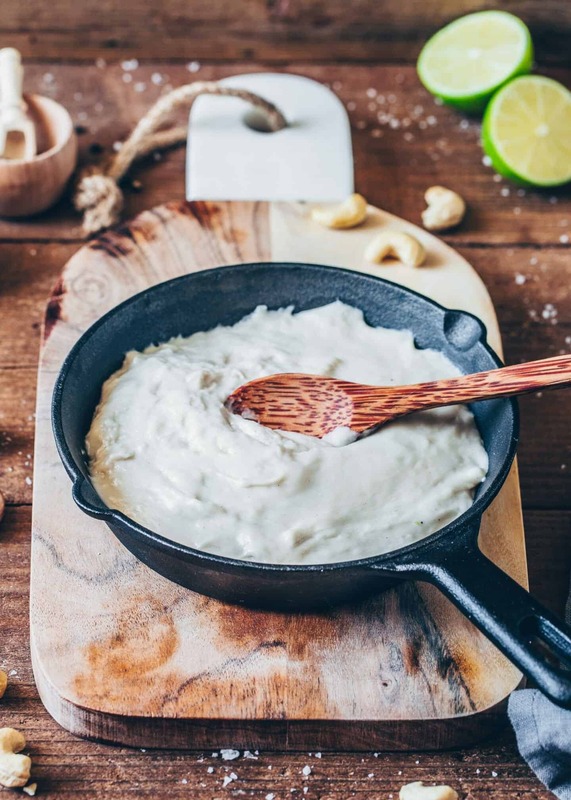 To make this vegan mozzarella, simply stir all of the ingredients with the tapioca starch in a pot. 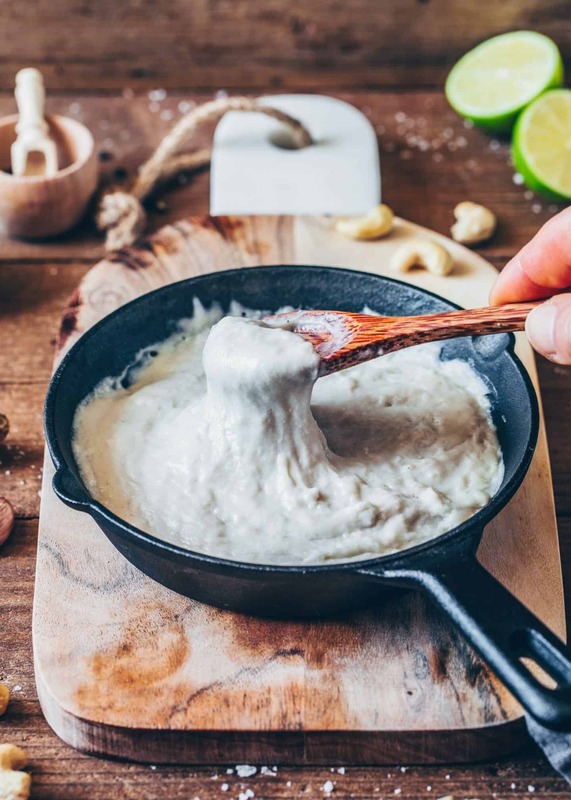 Bring to a boil and cook the cashew cheese mixture for about 5 minutes, stirring constantly until it is thick and cheesy. The cheese sauce can then be used immediately or refrigerated for later. This vegan mozzarella with tapioca starch will not get completely firm, but I mean, who needs firm cheese when you want to serve it melted? 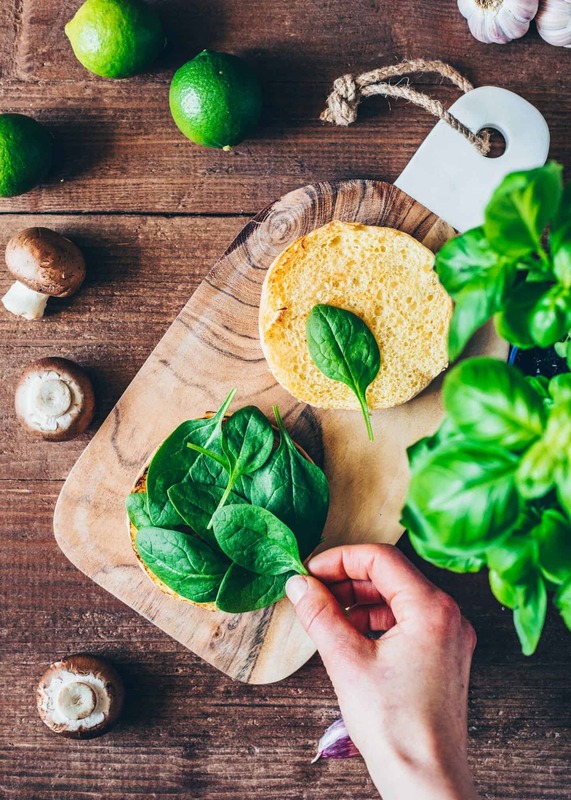 However, if you want it firm to use for Caprese, then you can check out my raw cashew mozzarella recipe. Otherwise, I have also mentioned an option with additional use of agar-agar in the recipe notes. 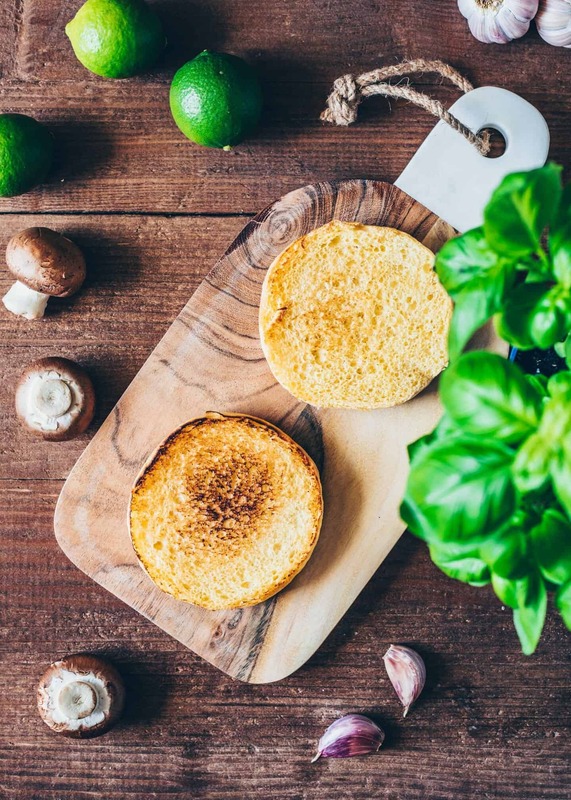 Perfect for gratinating, or for sandwiches, burgers or as a vegan cheese dip! 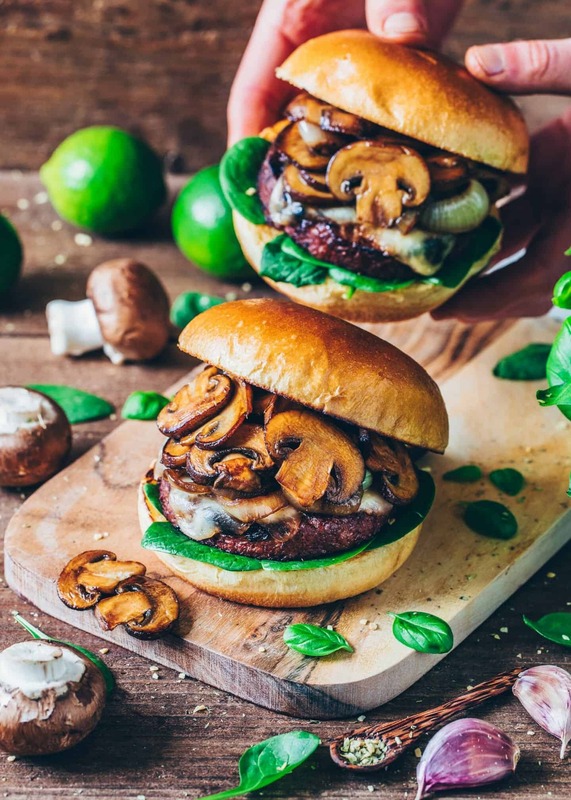 Are you looking for more mushroom recipes? As I mentioned before, you can use the cashew cheese for many different dishes, such as casserole or pizza. 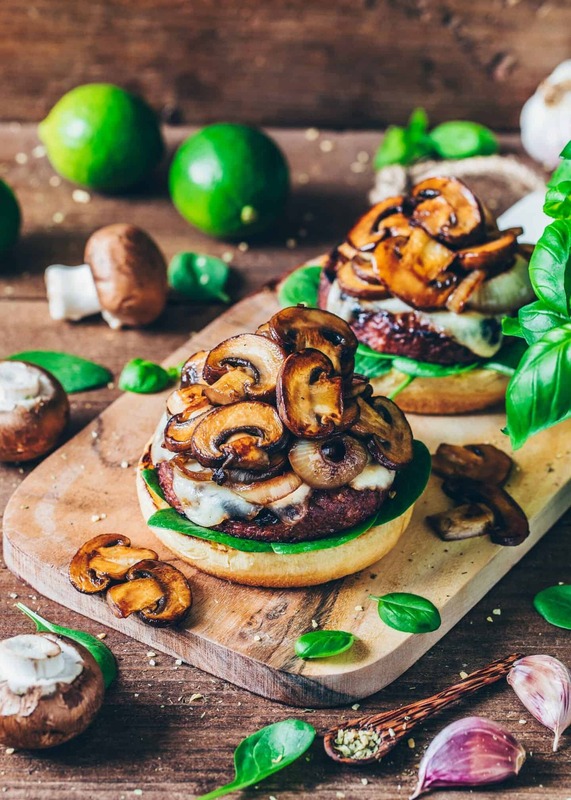 I find that vegan mozzarella also goes well with flavorful garlic mushrooms! 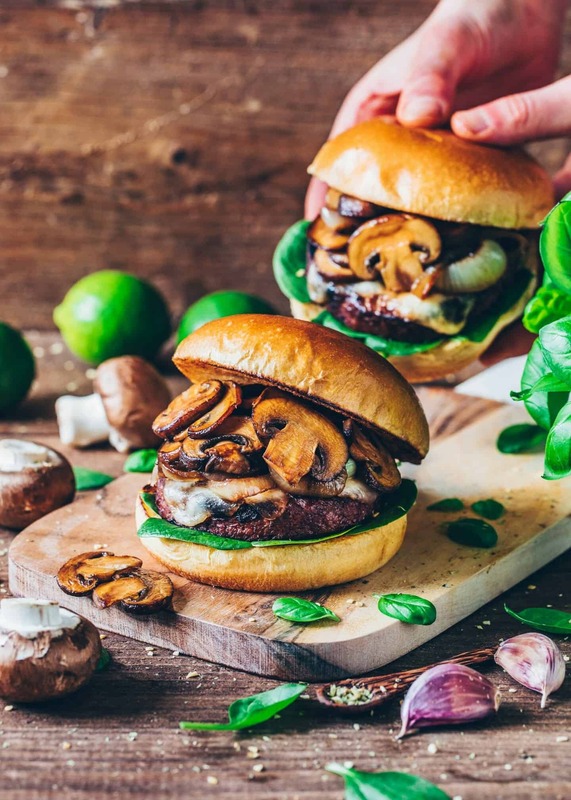 If you like mushrooms too, you should also check out my recipes for creamy polenta, crispy gnocchi, mushroom risotto, avocado mushroom toast, mushroom rice soup, or my mushroom wellington. Soak the cashews overnight or (for a quicker version) boil them for 15 minutes. Then drain and rinse them. (Optionally, you can use store-bought cashew butter). 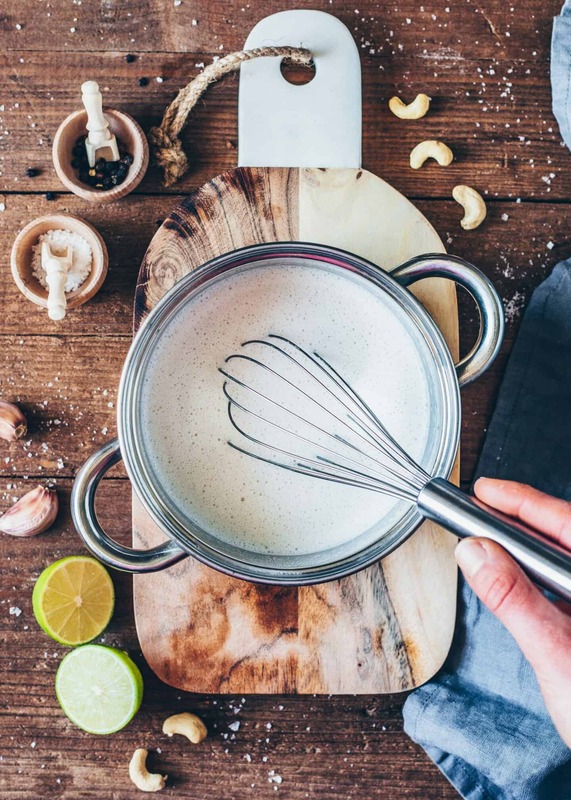 Blend the soaked cashews with the remaining ingredients for the vegan mozzarella (It will be watery). Pour the cashew mixture into a small saucepan and bring to a boil over medium heat, stirring constantly. Cook for about 5 minutes until it gets thick and cheesy, continue stirring. 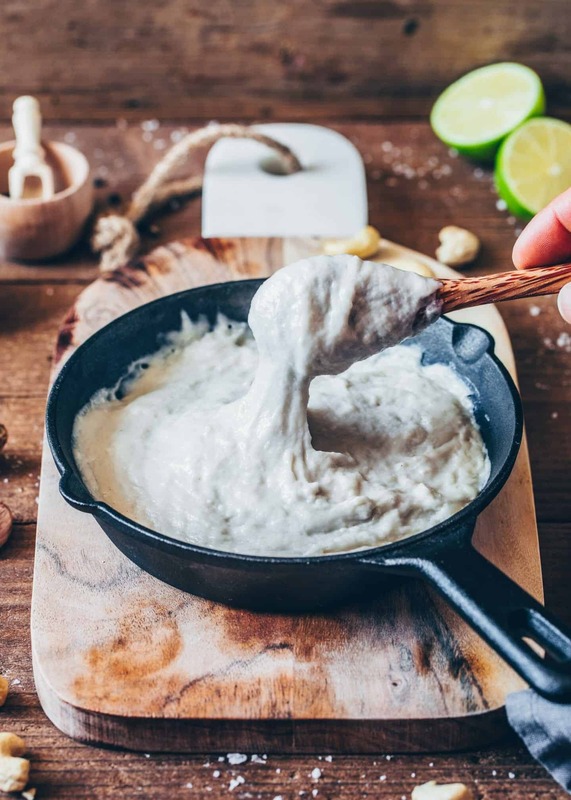 The vegan mozzarella can be used immediately for gratinating or as a cheesy dip. Or fill it in a small bowl and place covered in the fridge. Once it’s firm, you can scoop into smaller balls. When you reheat the mozzarella, it melts again. Heat some oil in a pan. Sauté the onions for about 3-5 minutes until translucent. Add 2 tbsp water, cover the pan and simmer over low heat for further 1-2 minutes. In another pan, fry the mushrooms in some oil for about 6-7 minutes until they are nicely browned. Then deglaze with soy sauce, tossing to combine, and season with salt and pepper to taste. Set aside. 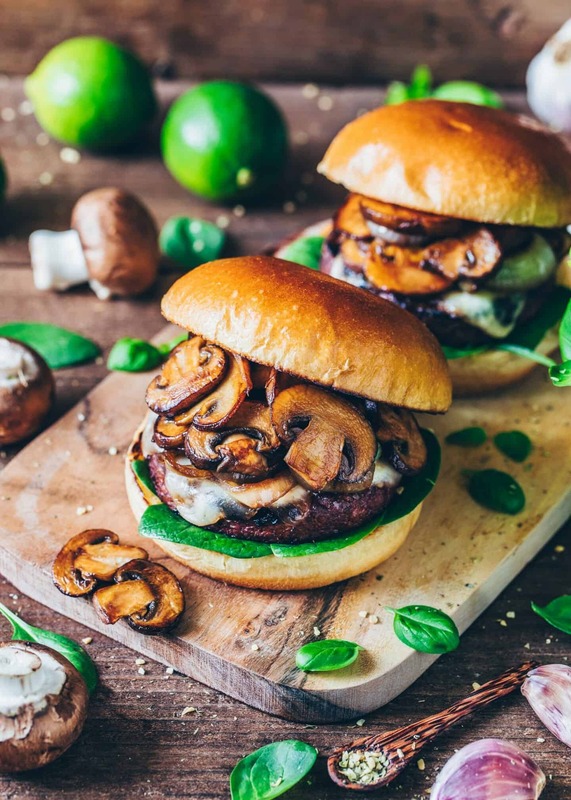 While the mushrooms are cooking, fry the burger patties according to the package instructions (or make your own, read recipe notes*), and toast the burger buns. 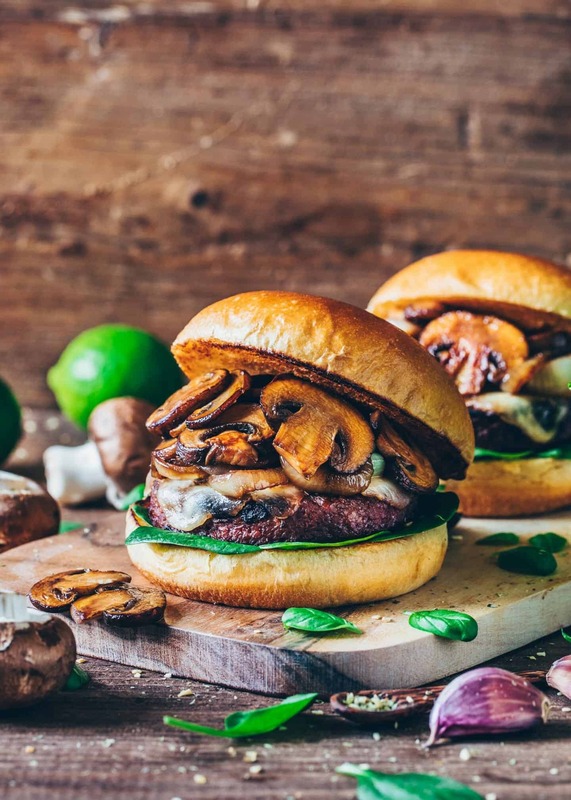 Layer the toasted burger buns with the burger patties, vegan mozzarella, your favorite bbq sauce, roasted onions, and mushrooms. 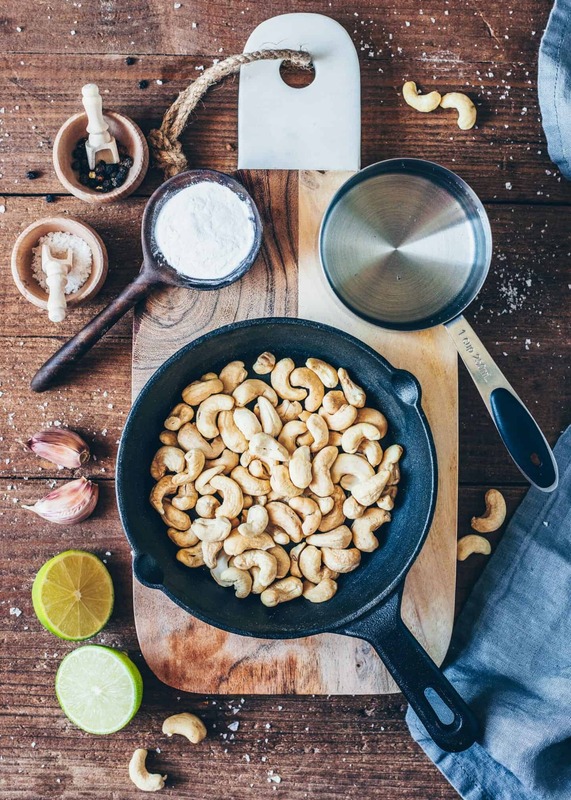 Instead of cashews or cashew butter, you can also use almonds, macadamias or any other nuts you choose. If you do not want to use nuts, you can also make the cheese with 300ml of full-fat coconut milk. However, it’ll change the taste, the color and the consistency. The mozzarella will not get completely firm once cooled, but you can freeze it and then grate frozen mozzarella to use for gratinating casserole, pizza, etc. If you want firmer mozzarella, you can stir in additional 1 tsp of Agar Agar before cooking or try this recipe. 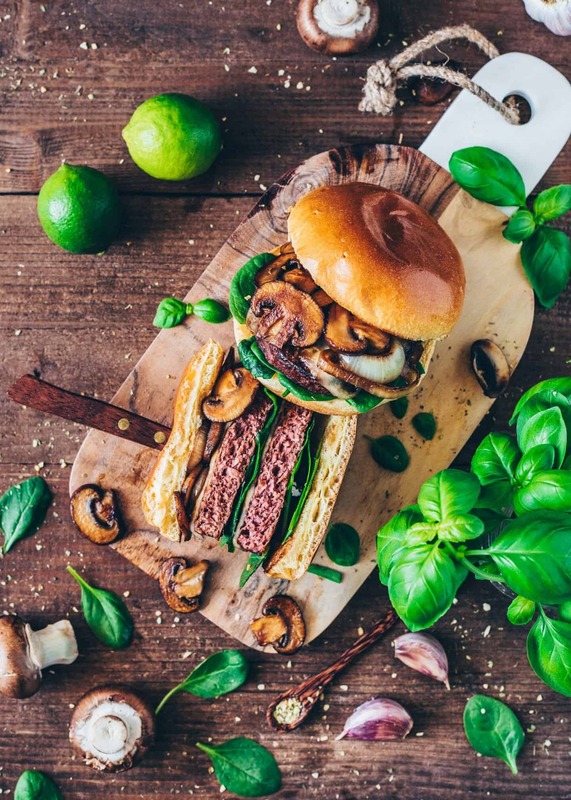 You can use any vegan burger patties of choice or make your own, f.ex. with this meatless recipe made from beans or with this recipe made from chickpeas. Also, falafel are a great option. You can simply form them into patties instead of shaping balls.